Using video inspection and sewer cameras help our technicians to know about the exact location and cause of the problem. They then provide relevant solutions to the problem. 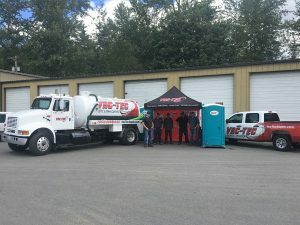 As a reputed company, our motto is to provide the best emergency septic repair services to our clients so that they can heave a sigh of relief. The requirement of emergency septic pumping & cleaning arises when the owner overlooks the impending danger for a long time. It must be known that the septic tanks must be regularly cleaned and pump to avoid overflowing. However, if the septic alarm warning has been ignored or the alarm has stopped working, it can result in an emergency. Using the best septic system inspection equipment and techniques, our technicians are able to diagnose the problem quickly thereby saving time, effort and money. Depending upon the problem and its complexity, our technicians will decide the course of action to get you rid of the problem as soon as possible. You can contact our help desk to know more about our emergency services. 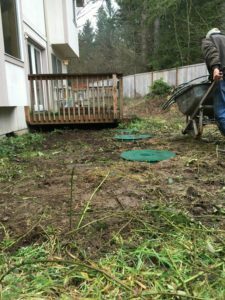 Feel free to contact Vac Tec, LLC at (206) 339-0039 for any assistance regarding emergency septic pumping & cleaning in Auburn. Our representatives will help you and guide you further.